Join Arizona’s three chapter branches as they come together and celebrate Arizona's Sustainability Achievements from 2014. Media will be present, as well as other cities' officials. 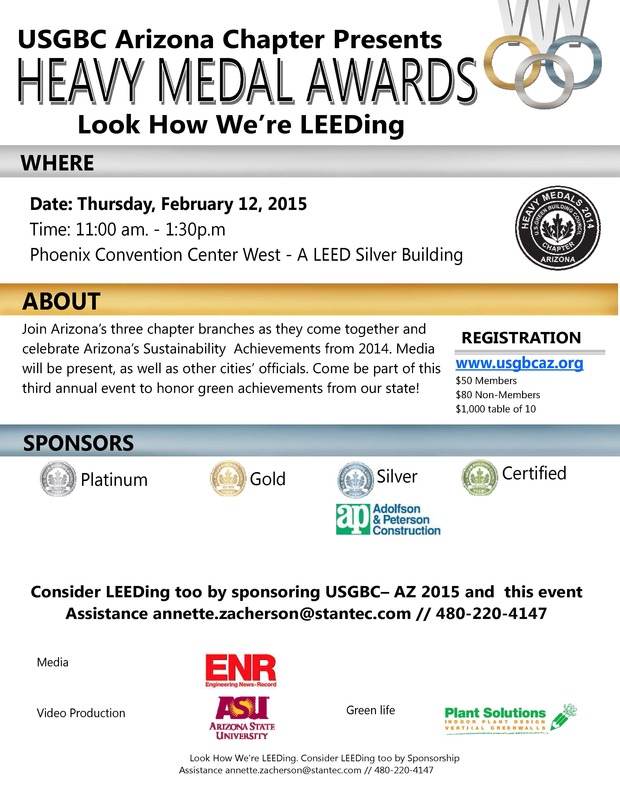 Come be part of this third annual event to honor green achievements from our state!